Privacy will always remain a primary concern for web users. No one wants their information to be revealed, or their accounts to be hacked. Imagine the horror, if you get to know that there are ways that your surfing can be tracked, and someone out there knows EXACTLY what you have been up to!! It gives an unwelcome queasy feeling, right? Tip #1: Never keep the same password for your emails and any of your social sites. Everyone knows this, but we seldom take heed! Regularly change your passwords. Tip #2: Another tip is to have multiple emails for various purposes and there is no need to give your true information, unless it is work related. This is because when THAT account gets hacked, you are quite literally screwed! Tip #3: Always make sure to check that the email service you are using is SSL or secure socket layer protected (https://). Tip #4: Install good antivirus and firewalls. Be careful of what you download and which link you follow. Check the source and if credible, only then pursue. Tip #5: If you do more then surfing and a bit of downloading, safe bet is that you spend a little money and purchase heavy protection. Free downloadable antivirus are OK as an option for light users. Tip #6: Work behind good cost effective, VPN and hide or change the IP address from which you work. Surf Anonymous with multiple IP addresses and protect your privacy. Tip #7: Keep the automatic update option checked in. Windows is always updating their security and erasing loopholes so it pays to be up to date. Tip #8: If you use wireless from home it is advisable to change the passwords regularly. Tip #9: A spyware is a malware that collects bits of information about the users. This is undetectable! So your safe bet is to have a spyware and adware scanner. Online free versions are available. Tip #10: If you join a social networking site, donâ€™t give your real information. You never know your potential boss just might search you up! Also, do not forget to regularly delete temporary files and your browsing history if you donâ€™t want others to know what you have been up to. It is the ignorant surfers, those who do not take time out to read through the privacy policies, who suffer and are to be blamed. 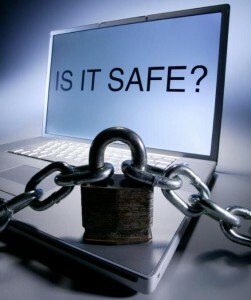 It is our own precautionary steps that insure we are safe over the internet. Working behind a secure VPN is one of the ways that can give us security. Use VPN to hide your IP address to remain anonymous. With a reliable provider, you know that proper security firewalls and protocols are in place to keep our web interactions safe and secure. Take steps now, in order to safeguard your own privacy!